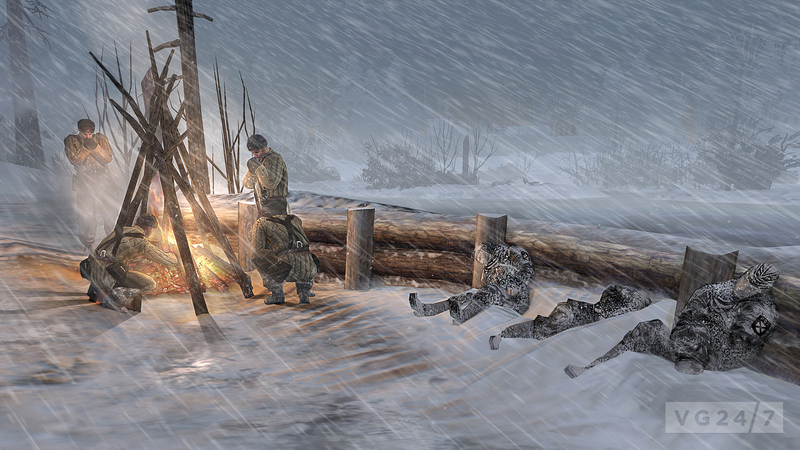 THQ has announced Company of Heroes 2 will contain an “innovative weather condition” simulation tech which will make the brutal Soviet winter on the Eastern Front seem as deadly in-game as it was during World War II. Temperatures like this cause the skin to freeze in a matter of minutes, and as such, will be portrayed accurately in the game. 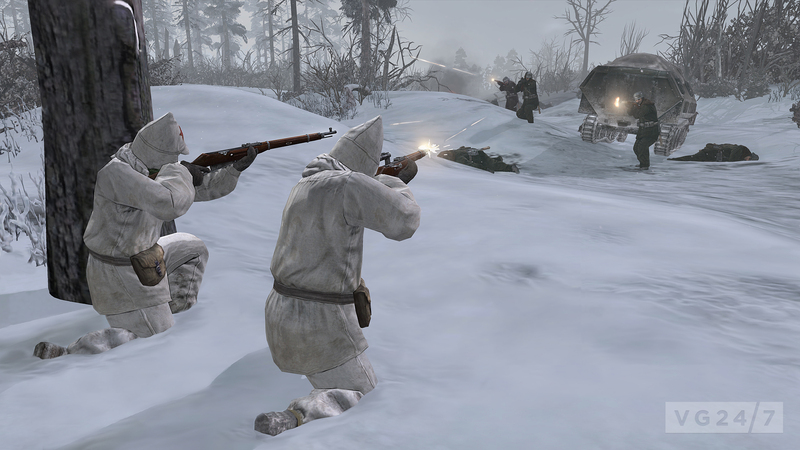 On winter maps, Infantry units exposed to the cold will gradually freeze to death unless kept warm by fires and being garrisoned in buildings by the player. Dynamic blizzards will increase the effects of extreme cold making it hazardous to leave infantry in the open. 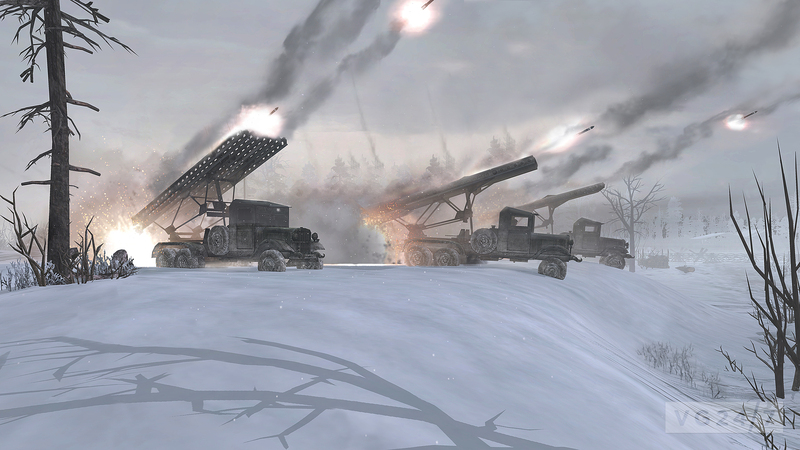 Snow will also be dynamically painted on and removed, which means it will accumulate on buildings and vehicles, allowing it to be melted or removed from objects by the player. 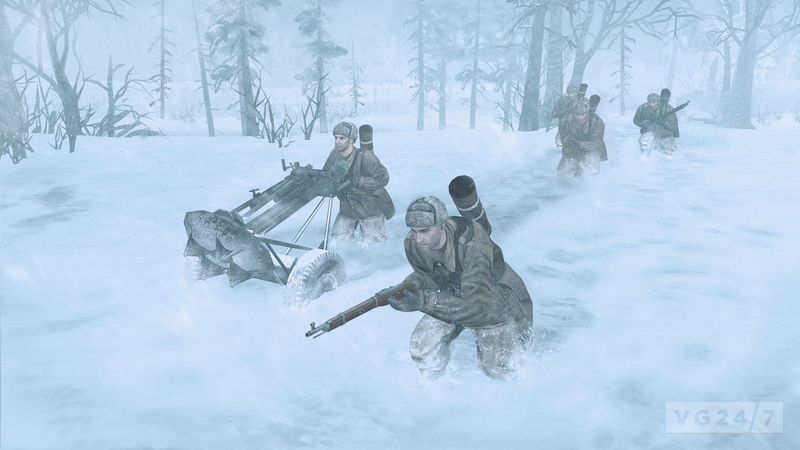 The depth of the snow will also impact troop movement, as well as retain persistent infantry and vehicle tracks unless covered by fresh snow fall. Ice will also play a factor, affecting vehicle and troop movement, and it can also collapse or be destroyed from underneath troops and vehicles. A crack in the lake can cause vehicles and troops to plunge into icy Russian waters. Over time, any destroyed ice will re-form. Assets showing the snowy conditions explained above are below. 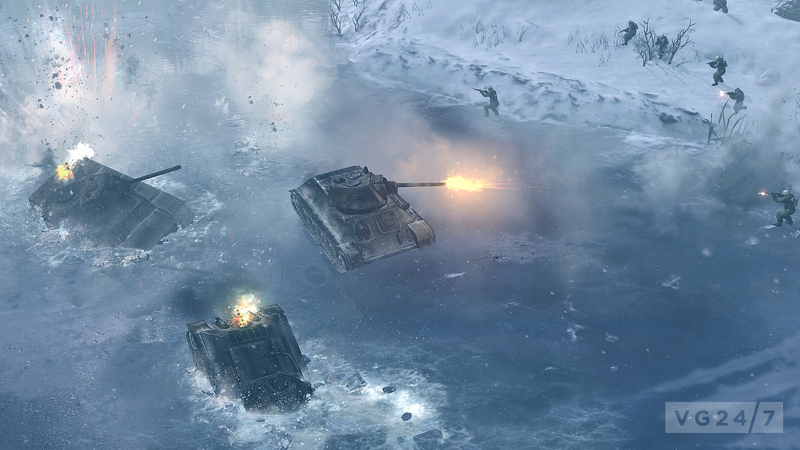 Company of Heroes 2 is scheduled for PC in early 2013.